Are you confused in choosing the best product for your recovery drink? Then you can consider these two, either the powder drink supplement or the chocolate milk. Why do we say these two are the best? It is because both the powder drink and chocolate milk have a very effective showdown in taking care the fatigue after a harsh workout. During the first initial 15 minutes after the workout, it is very important to use the recovery drinks or food to give you the best result. You can’t take something like french fries or soda which is terribly wrong for you cell and bone. The right thing is to properly take the recovery drink which has healthy component and free of fat. That’s why we choose the chocolate milk which is a very healthy component; you can also choose the milk which contains no fat. Endurox itself is chosen because of its popularity for a recovery drink. It has a great performance which can be compared with many other drinks. So if you are interested to know more about these two, let’s see the comparison below. The Endurox R4 is made from an all-natural and new formula which contains mostly the whey and soy proteins. The Endurox is obviously the best powder drink which is also very versatile. You can add more water if you want, then you can also consume it in big scoops, but the perfect serving is about two scoops that go into 12oz of water. On the other hand, the chocolate milk can be consumed in big amount, as a result, is also fantastic, you get many nutrients like the Endurox, and the taste is so much better than the Endurox. The taste itself is the biggest concern as the Endurox taste so bad; it becomes so hard for you to drink it because of its bad smell and a terrible flavor. On the other hand, Chocolate Milk is excellent in term of taste. It is very much boosting your mood too after a hard workout. The biggest difference in both the Endurox R4 and the Chocolate Milk is not only about its taste. In reality, the performance of both are proven already, but in science, Chocolate Milk has so little proof to be shown. Endurox R4 performs really well, it increases the glycogen replenishment by 200% and decreases the muscle damage by 50%, it also increases the protein synthesis by 400%. This percentage is got after the research that has been done by the Endurox company. 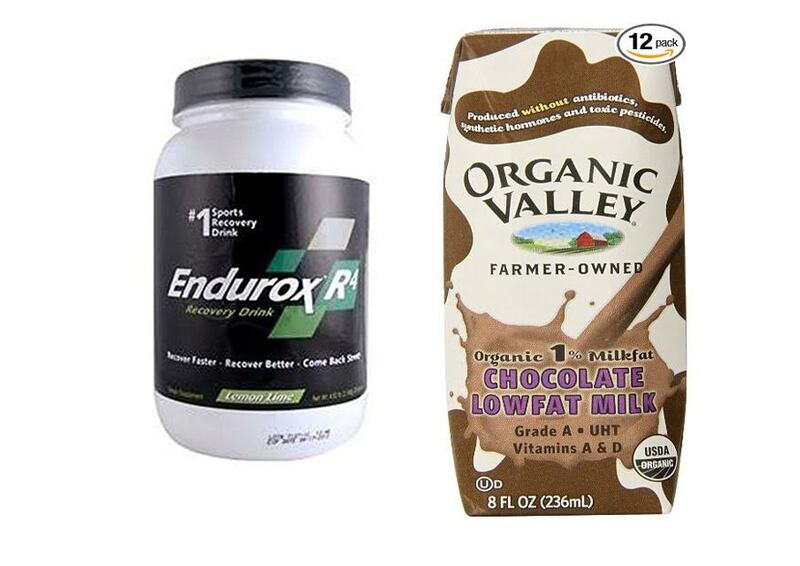 On the other hand, even so, Chocolate Milk is considered by many people have the same performance or even better performance than the Endurox R4, but the Chocolate Milk lacks in the science proof. There are science proofs, but all are just about its nutrients and contents which are not related to the muscle recovery. In overall, it is very easy to determine which one is the most suitable for you. If you love a better taste recovery drink, then you can try the Chocolate Milk, but if you want a real product with real proof, then the Endurox is well worthed.